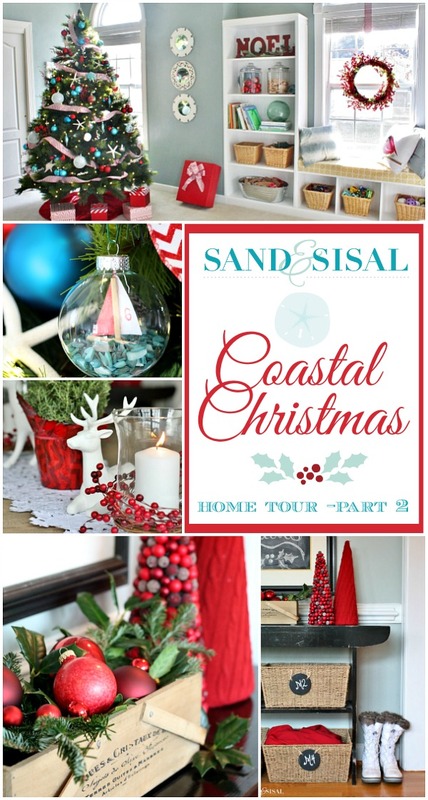 Welcome friends to Sand & Sisal’s Coastal Christmas Home Tour – part 1. 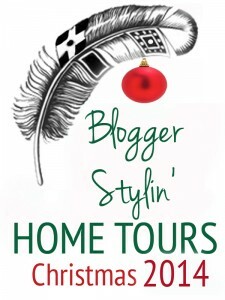 Today’s Coastal Christmas Home Tour is part of the White Buffalo Styling Co.’s Blogger Styling Home Tours. If you are following the tour in order and coming from Primitive & Proper then let me say hello and welcome! 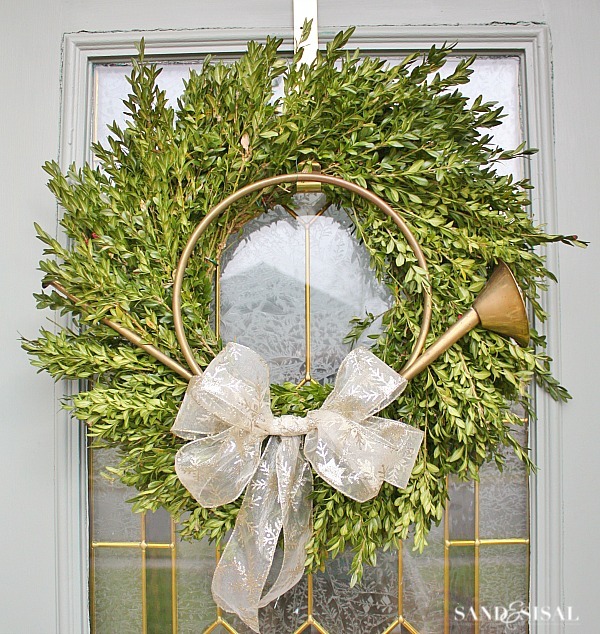 This little beautiful brass horn from a thrift store never knew he’d be adorning a simple boxwood wreath. For years he’s been buried beneath the boxes in the attic, dusty and tarnished, unnoticed. The horn cried out to be polished, shiny and gleaming once more. “I’m not shiny enough, I don’t sparkle. I’m rusted and tarnished, dented, damaged, and not good enough”. You are enough in my eyes though. Don’t you see that? You are beautiful and whole and you proclaim His coming to this earth. So let the trumpets sound, today a Savior has been born. He is Christ the Lord. Sometimes the oldest of our belongings can find new significance once more. Our foyer has not changed much over the summer. I still love my Succulent Wall Hanging, which is displayed over the Chalk painted console table. Having lovely decor is always nice, but there is more to life than a pretty home and keeping up appearances. We must remember why we celebrate Christmas. We need to understand and teach our children the reason for the season. It’s not just all about Santa or the Elf on the Shelf, or the pretty decorations but it’s about the birth of our savior, Jesus Christ. If we skip that then what is the point of it all? 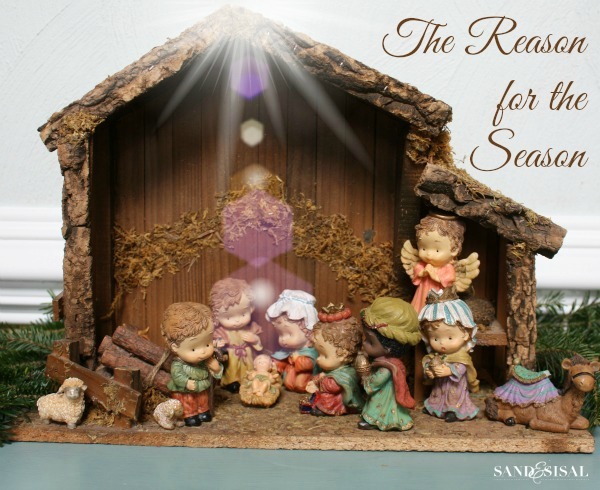 I bought this little nativity manger scene almost 20 years ago. I think it cost me under $10. All 4 of my children have played with it over the years. The ears of the donkey and cow are broken. A few wise men are a bit beat up, chipped and scratched, but Baby Jesus is still pristine and whole. Even if he was marred and dented…He would still be loved and adored by chubby little child hands that enjoy re-enacting the story of his miraculous birth. Chipped and broken…scratched and aged, You are enough in My eyes… He reminds me. For HE is the Reason for the Season. He restores the chipped, the broken and damaged souls. And the wise men brought him gold, frankincense and myrrh. All that glimmers is gold….. 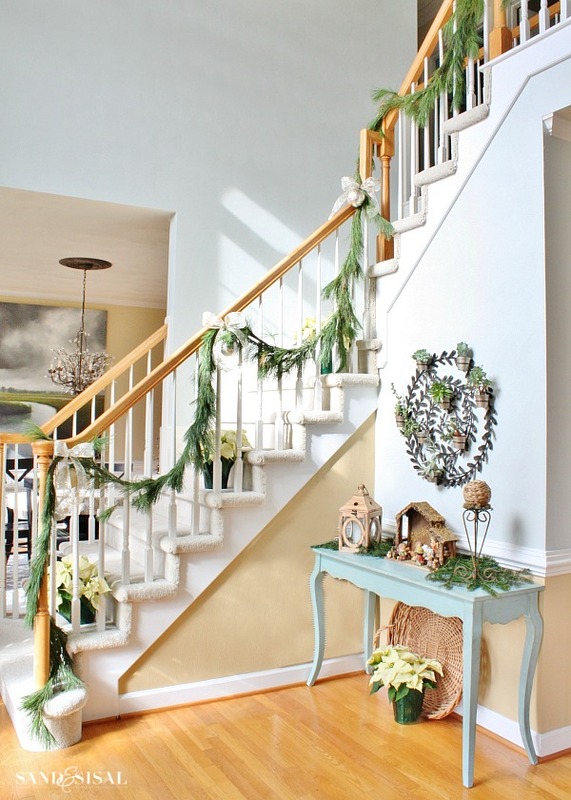 Simple gold ornaments & bows line the banisters. 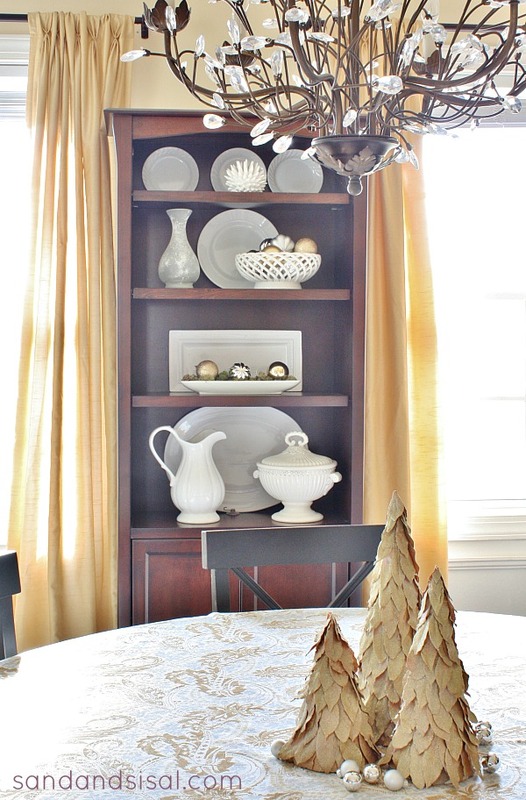 So in that thought, a large portion of our holiday home tour this year is decked out in classic silver and gold. I wish we used this dining room more because it is so lovely and can you believe I found that table and chair set at a thrift store for only $120? The walls are painted in a buttery Ivorie from Sherwin Williams. We added wainscoting molding to the lower walls last year. 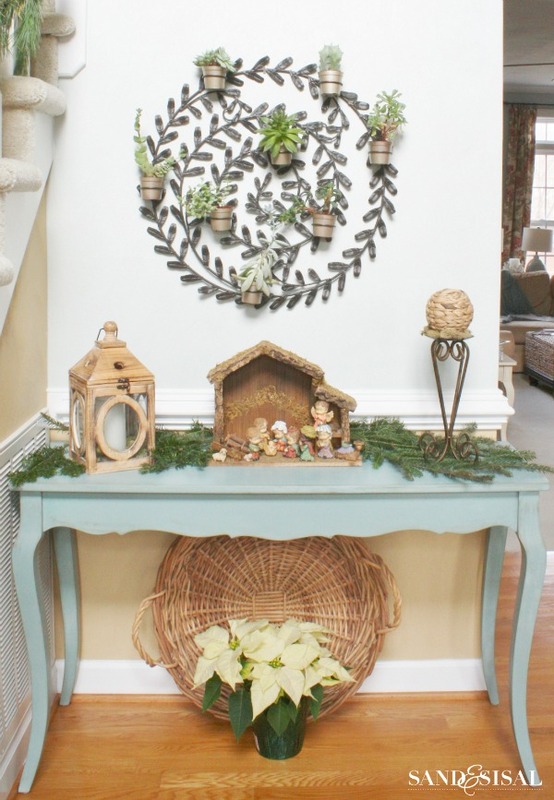 The gilded pear wreaths stay on the wall all year round, minus their snowflake toppers. I had a plan for them… a golden makeover. Sparkling and once again NEW. God has a plan for each of us, maybe it’s shiny and new. Let us move into the family room now. This is where all the giggles happen, the wrestling on the floor commences, the movies are watched with popcorn in hand, and essentially it is the hub of our home. 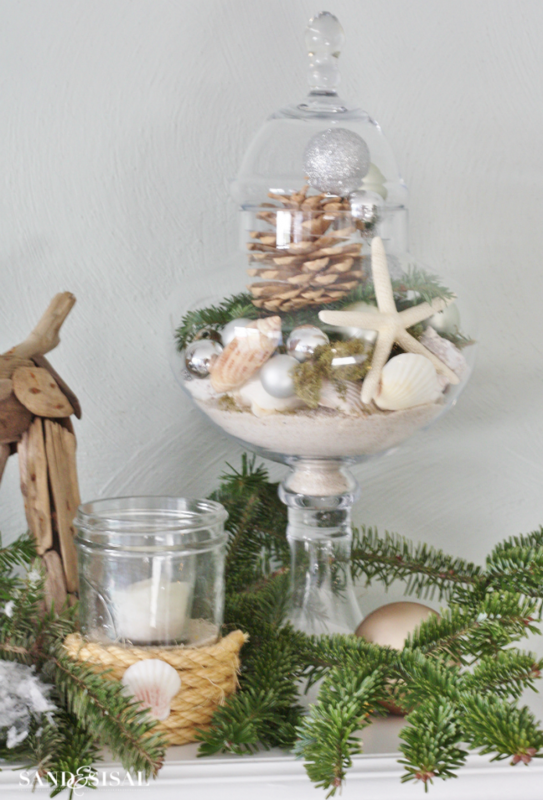 I’m so excited to show you my Coastal Christmas Mantel and Coastal Christmas Tree. Every year for as long as I can remember, my sisters & I would gather around the piano and sing this song together, hence why I made this “Oh Holy Night Christmas Banner”. It’s my favorite carol. When we were teens, in our high school theatrical years, this carol sounded beautiful, but as we grew up I think we kind of lost our, um… key?.. and well, it became a tad bit comical, especially hitting the high notes. The song is so dear to our family and our amazing father who passed away a few years ago from melanoma loved our silly singing tradition. This song brings us to tears, but lately I think our singing is the cause of those tears (wink). I know that our singing was enough in my Father’s eyes. This Christmas season I hope and pray that no matter what you are going through, no matter your financial circumstance, that you understand and believe that YOU ARE ENOUGH IN GOD’S EYES. You are beyond enough. You are beautiful and HIS precious creation. None of us are perfect, and I am far, far, far from it, but I’m holding on to the hope, joy, and promise of this season. 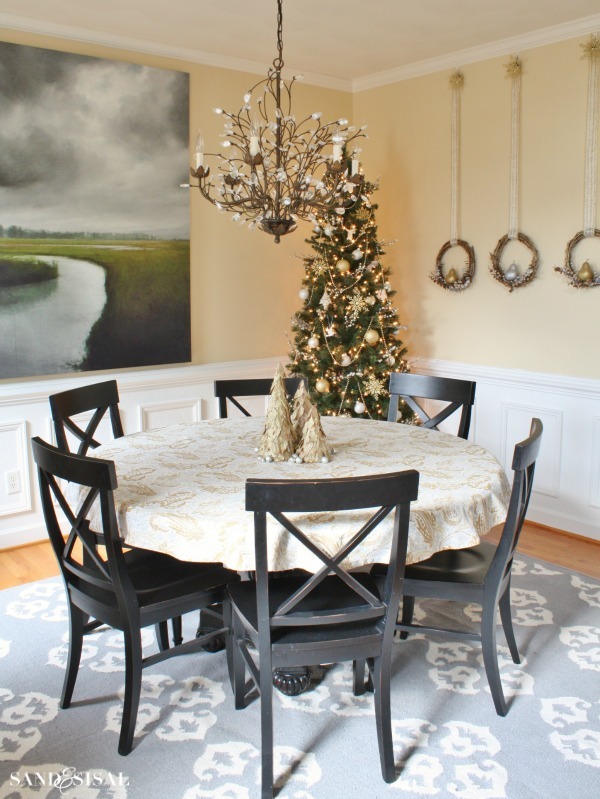 I hope you enjoyed seeing my softer, coastal Christmas decor, full of natural greens, blues, golds, and silver. Tomorrow in Coastal Christmas Home Tour – Part 2, we switch gears and go all merry and bright and colorful, with a vibrant palette of Turquoise and Red Christmas Decor! 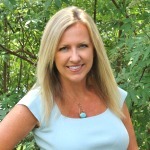 Next up on the home tour is Emily from Decor Chick! Be sure to check out her gorgeous home tour too! kim, all so gorgeous. love the rope on the mantel. is that print in the dining room from ballards? I was considering buying it a while back. looks fabulous. Happy holidays! Thank you Laura!!! Yes, the painting is from Ballards. I pondered over buying it for over a year and finally bit the bullet and bought it! I’m so glad I did, I love it! Is that gorgeous rope Sisal Rope? Too cute!!!! Love the message. What a truly beautiful post!!! Thanks you for the message as well as the stunning home tour. So many people feel they don’t stack up to others. A much needed message at this time of year, and always. 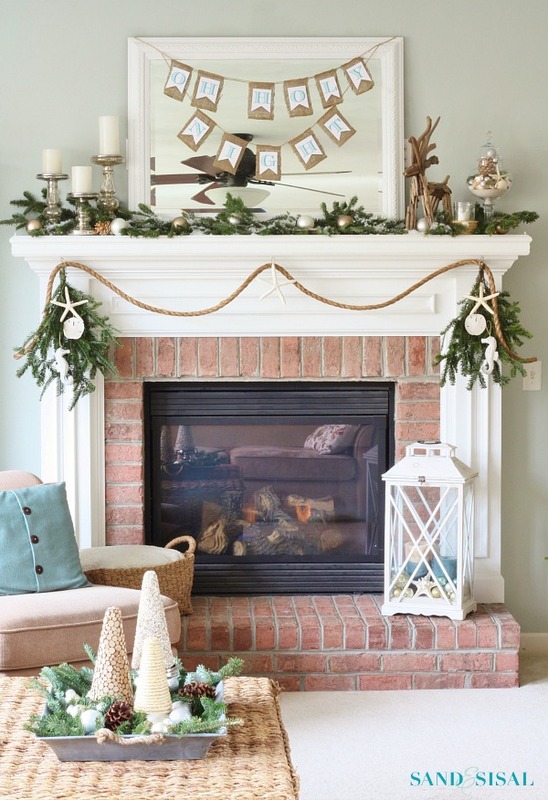 the rope on the mantle is genius! LOVE it! and love the stairwell!!! beautiful job, kim! Thank you Cassie! The guys at Home Depot were wondering what the heck this little lady was doing with 40 feet of rope! HA! 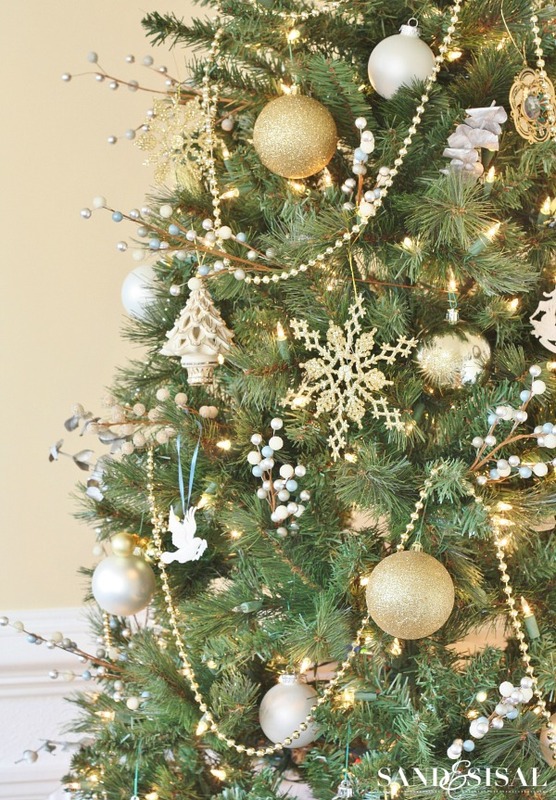 You tree is absolutely gorgeous and your mantel too. Merry Christmas! Elegantly beautiful Kim – every last detail!!! Beautiful job, Kim! I love your coastal vibe 🙂 Thanks for joining! Thank you so much Lindsay! 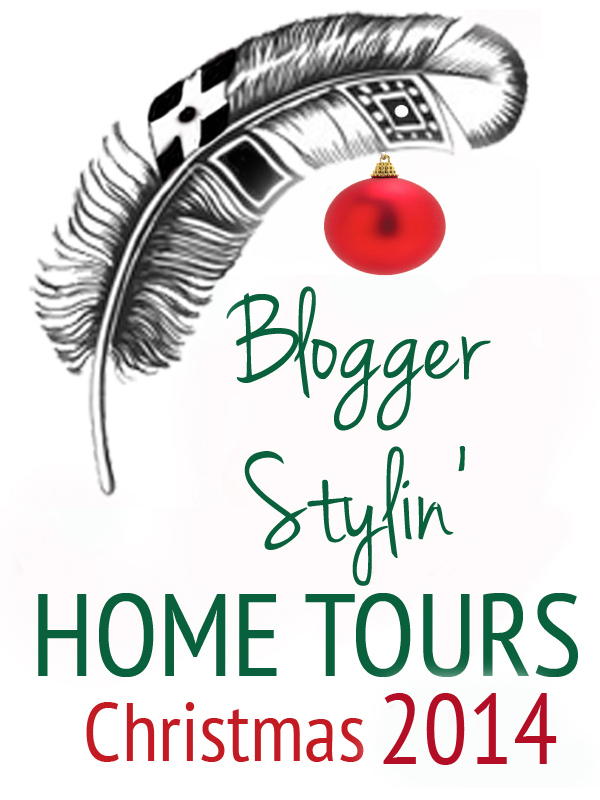 Thanks for hosting such a pretty blog hop! Beautiful decor and even more beautiful message. Thanks for sharing! Beautiful! I love the way you intertwined the “real” meaning of Christmas! Thank you Gail. Merry Christmas! Your home and message is beautiful. I loved it all! Love the decor you chose for your home. The rope is unexpected fabulousness. I also have two brass horns that I got at an estate sale. 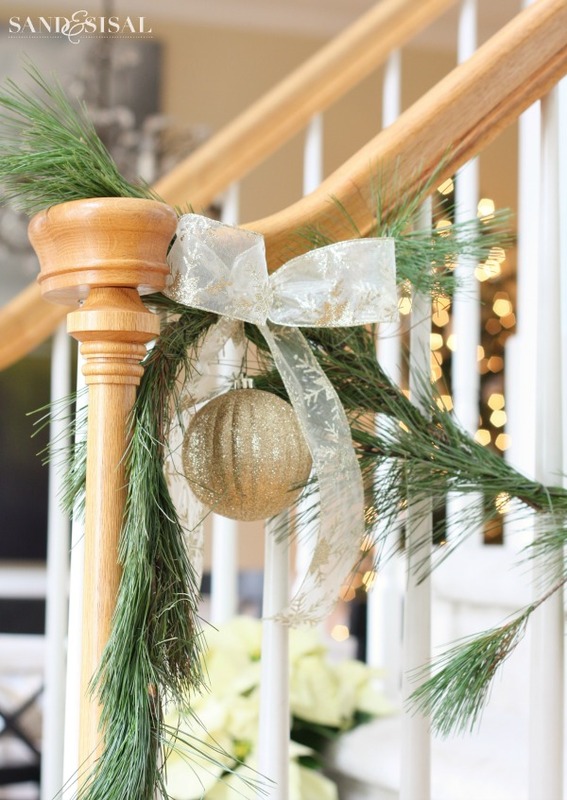 They are hanging from my french doors with ribbon and….boxwood wrests. My wreaths are smaller and sit inside the horn rather than the other way around like yours. Used what I had on hand. I’ll be posting pics on my blog this weekend. Ooo, that sounds very pretty. Little nests would be a very pretty addition! I’ll have to do that next year. Thanks so much Eileen. Kim, Everything is beautiful and I love the coastal touches. Your home is beautiful! 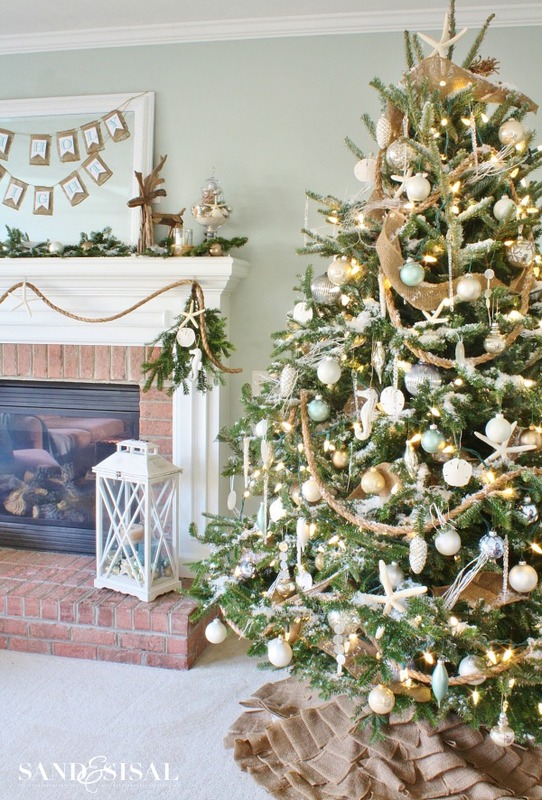 I love the coastal tree and the mantel, gorgeous! Kim, I love all your beautiful soft colors and how you’ve put it all together. Just magical! And I love that you shared the meaning of Christmas in such a beautiful and poignant way. Merry Christmas, friend!! Thanks for sharing your beautiful Christmas home with us and even more for sharing your faith. 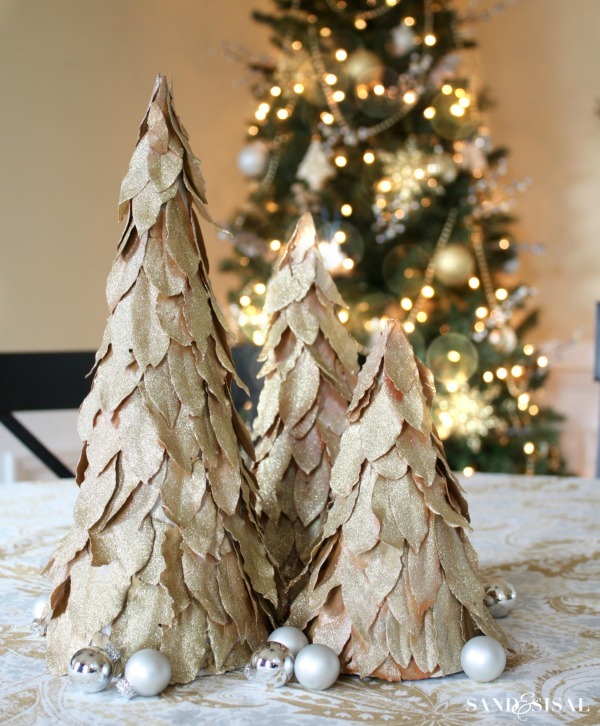 At this time of the year I get so discouraged with “Happy Holiday”….a holiday tree… Xmas…. It really lifts my spirits to see a beautifully decorated Christmas home shared with the message of Christmas and the reason for this season! Thank you for bringing that reminder today! Aww, thank you Patti. I really appreciate it! Beautiful as always, Kim! 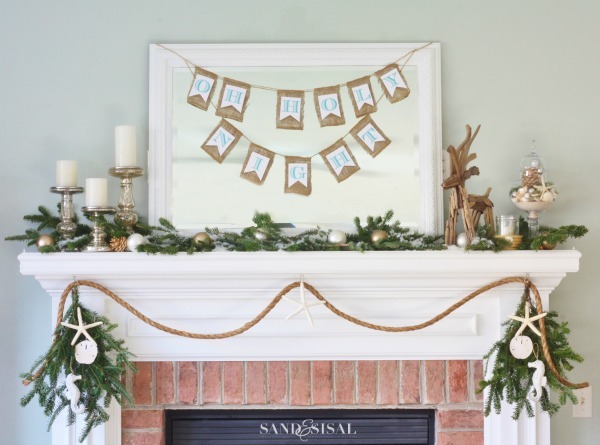 I especially love the nautical rope garlands! I love metallics for the holidays! And the rope n teh tree is so cool! This is so beautiful, the wording so perfect and everything I look for in inspiration! 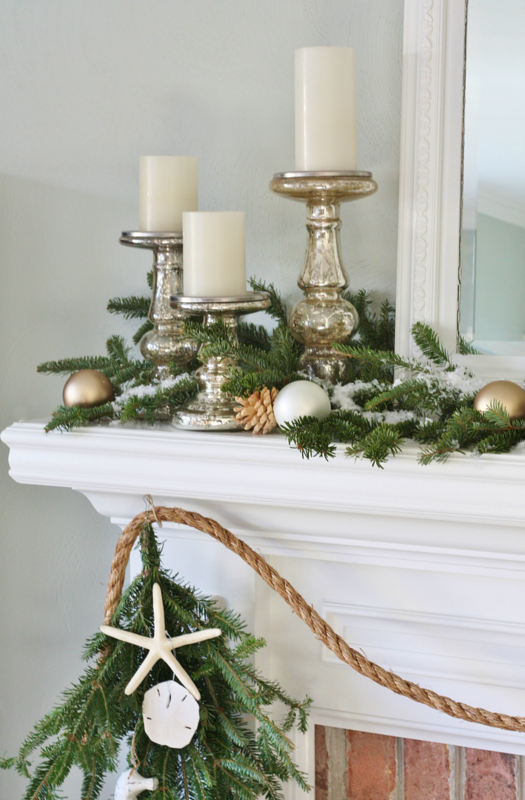 The rope & starfish on the fireplace – Love that idea!! Happy Holidays! Thank you so much Heather! Merry Christmas! Your home is stunning Kim! 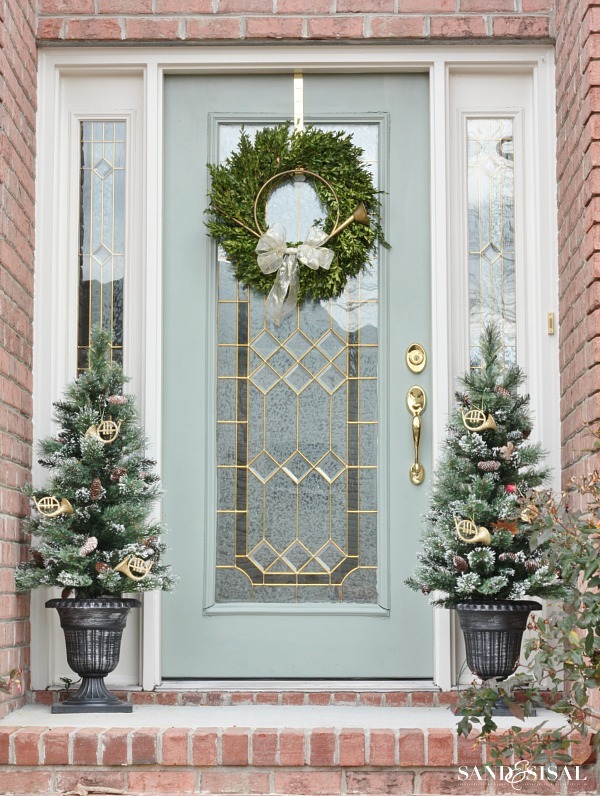 I LOVE the wreath on your front door and the colours you used throughout your home. Beautiful home tour, Kim! 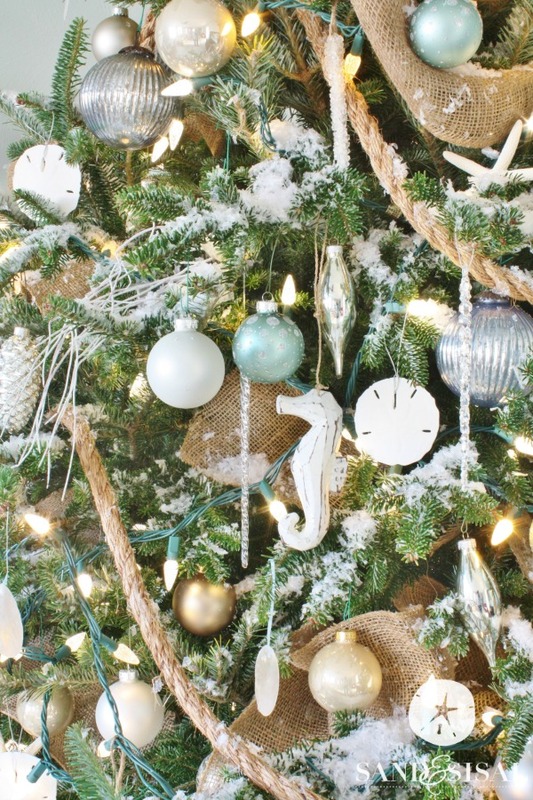 Love your coastal tree and the mantel is so pretty! What a beautiful story you told. It brought tears to my eyes. 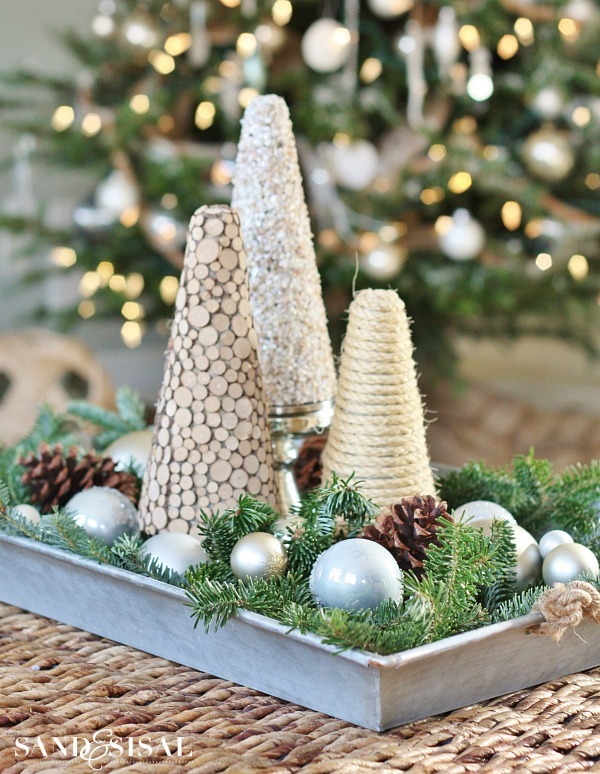 I love that you focused on the Reason for the Season and not just your gorgeous decorations. God bless you this Christmas season. I’m late, late, late. But yes, yes, yes! I love it all!!! PS – looking at your blog is now the highlight of my day! I sent you an email but I am afraid it might have gone in your spam? !